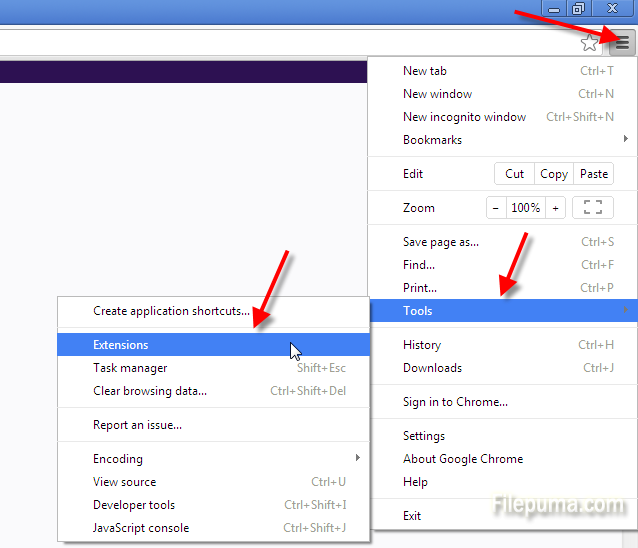 How to Remove Browser Redirect from Google Chrome? Google Chrome is one of the most popular web browsers. While using this browser, we are frequently annoyed with pop-up ads or browser redirect virus. When adware programs get installed to your Google Chrome, they will generate pop-up ads, display advertising banners or even changing your home page and default search engine. How to remove these annoying pop-ups is a challenge. This article will provide step-by-step guide on how to remove any browser redirect virus from your Google Chrome. 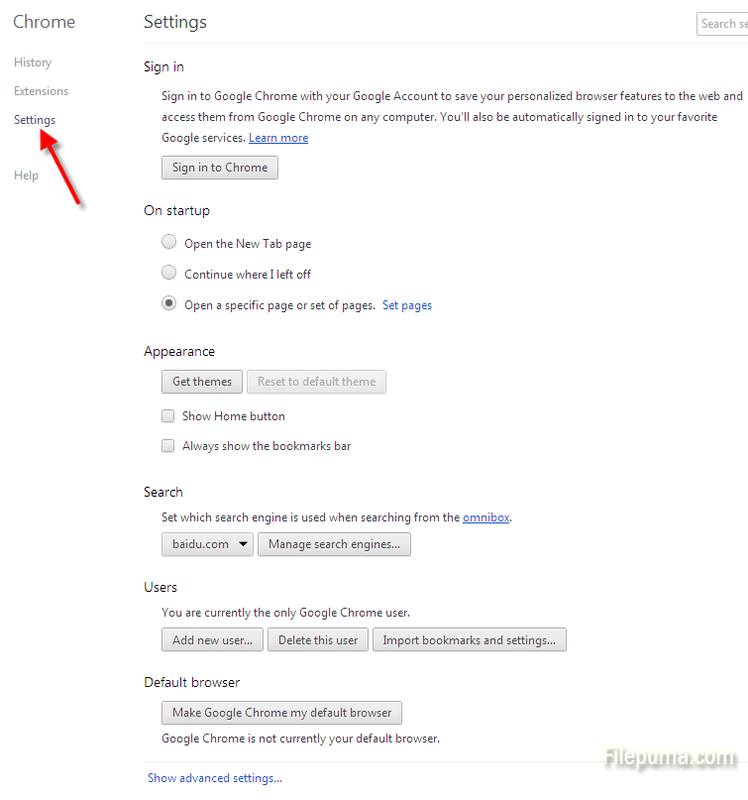 Step One: Open Google Chrome and click “Customize and control Google Chrome” on the left top. Then choose “Tools” –”Extensions”. Step Two: Review your extension list and remove unknown extensions. Then click “Settings” on the left panel. 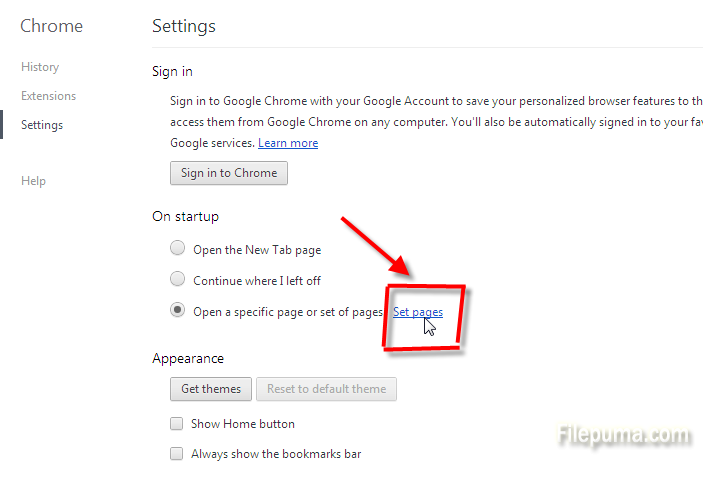 Step Three: To change the start page of Google Chrome, click “Set pages” under On Startup. Just click X to remove unwanted start page and type in the URL of your favorite website. 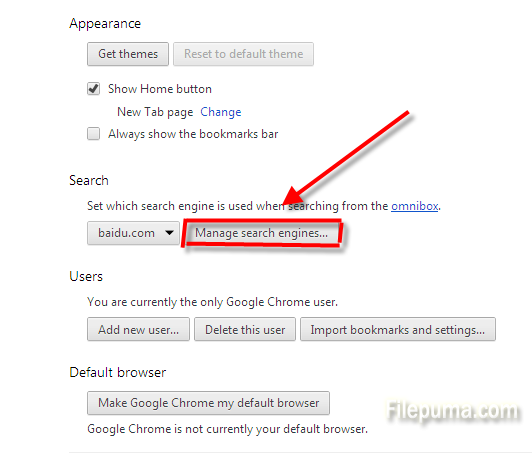 Step Four: Click “Manage search engines” to change default search engine of Google Chrome. 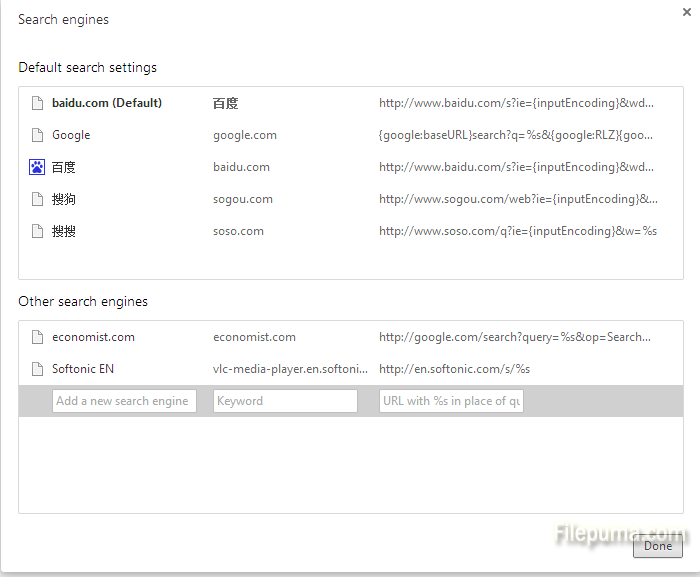 Remove those unwanted search engines by clicking X.